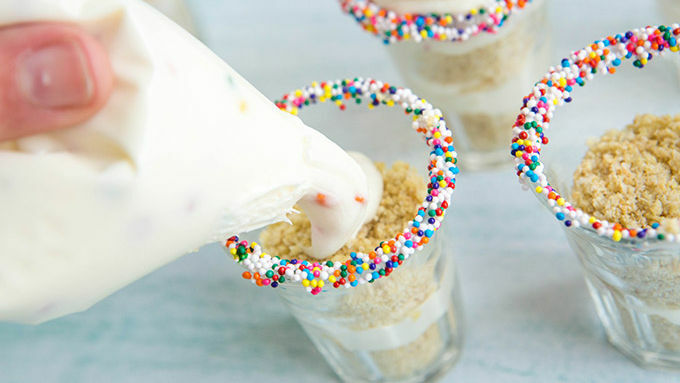 Dip the rims of 6 shot glasses into the frosting tub, then press into sprinkles to rim each cup. Spoon about 2 teaspoons of Chex™ crumbs into the bottom of each shot glass. Transfer icing into a decorators bag and snip off 1/2 inch of the tip. 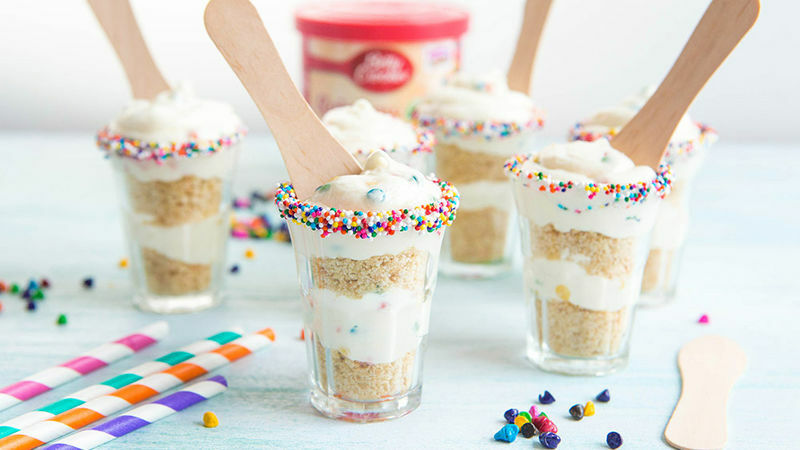 Pipe a small amount frosting on top of Chex™ crumbs, then spoon another layer on top of the frosting and finish each shot glass with a swirl of frosting. Serve with small cocktail or ice cream spoons. Enjoy! If your childhood was anything like mine, there are at least 22 baking memories where I try to sneak a fingerlick of this very frosting when my mother was not watching. 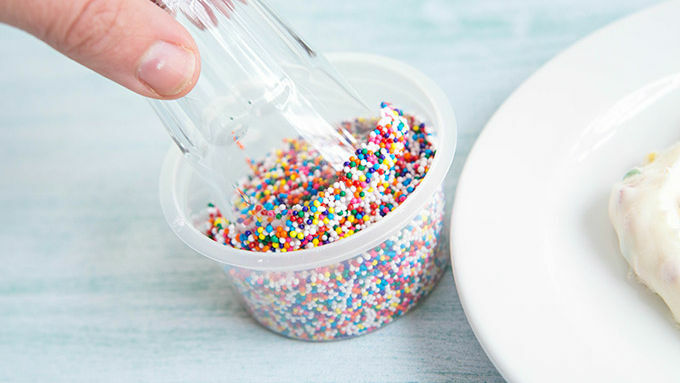 Sweet and creamy vanilla, confetti’ed with the most glorious mix of soft rainbow-colored chips. Oh, how I have missed it. Well, then, know what we’re going to do? We’re going to make it so you don’t have to wait for a cake to bake. You don’t have to wait for a batch of cookies to cook. Nope. We’re turning this frosting into frosting shots. And we’re going to do it in minutes. Stay with me here. This is pure brilliance. 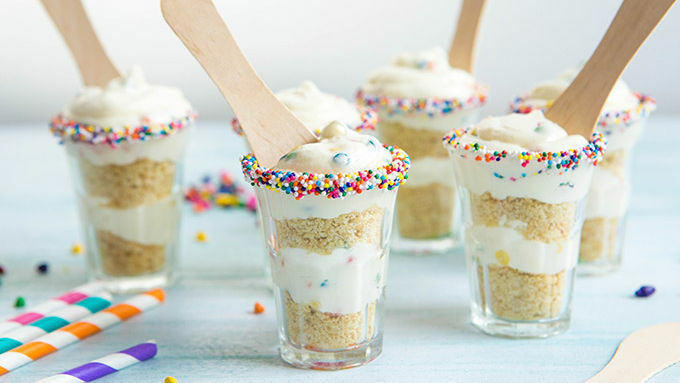 Gorgeous little frosting shooters. Just a beggin’ for a teensy spoon. And you. Dive in and enjoy. This frosting shot is for you. And me. And all the little humans who have always loved the Rainbow Chip frosting.